Routine evaluation helps us make our bikes the best they can possibly be while also ensuring they meet—and exceed—safety requirements. At Pursuit we use a tensile test, which gives us the modulus (stiffness) and ultimate strength of the material. We may also perform a burn-off test which tells us the ratio of carbon fibers to epoxy resin. We take that information and use it to optimize the strength-to-weight ratio of the final part. Once mechanical characteristics of the material and processing parameters have been confirmed, we apply those data to the frame design. We develop the general laminate of each portion of the frame and then zero in on the ply pattern. We are actively developing the Pursuit process that ensures each frame meets our design goals. In addition to recording typical quality measures, we’ve implemented several other processes to track key manufacturing metrics. We record information related to each bike, which is identified by its serial number. Travelers follow each part of the frame through the manufacturing process. The travelers includes ALL vital information such as material, layup, cure profile and environmental conditions. Properly curing carbon fiber optimizes its fatigue life. In order to ensure each part has met the temperature and time requirements to cure properly, all tools are fitted with multiple thermocouples and tested for hot and cold spots. Once we know how each tool responds to heat, we program a custom cure profile for that tool. We review all cures and then log that information in the corresponding frame’s record. All of the frame’s parts are bonded together and each joint is wrapped with carbon fiber and then cured. If done correctly, the bonded joint will be stronger than the surrounding material. To ensure that bonds meet our requirements, we weigh and record all epoxy and check that all bond-lines meet spec. We test during both process development and on randomized samples during production. We also conduct non-destructive tests on all parts as a matter of routine during the manufacturing process. All designs undergo ISO 4210-6 and EN 14781 testing during the design phase, process development phase and prototype evaluation. Fatigue testing involves applying cyclic loads akin to hitting bumps and/or pedaling whereas impact testing is centered on a single front-end collision. 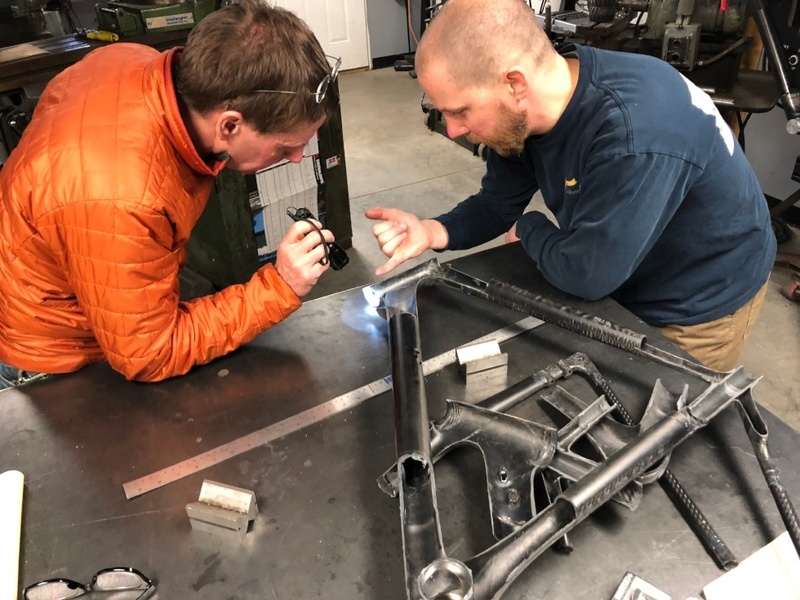 Both tests help ensure we are building safe, reliable frames, while also providing us with important information that we can put back into R&D. Arguably the best part of the job. While we do collect data when we are testing bikes, most of what we evaluate is seat-of-the-pants qualitative feedback. How do we like the feel—is it smooth enough and stiff enough? How does it feel when we hit bumps and expansion joints? How does it turn and sprint? We use accelerometers and strain gauges to collect data as well as the basic information you get from your Garmin—power, mileage, time and elevation. All of that information is considered alongside other data to give us a complete picture of the bike’s performance and safety specs.